I used to make candles many years ago and I love pampering myself with exotic handmade stuff whenever possible. I first heard of the Soulflower soaps a year ago. I found the soaps to be very costly, so never bought them, despite hearing a lot of people rave about them. 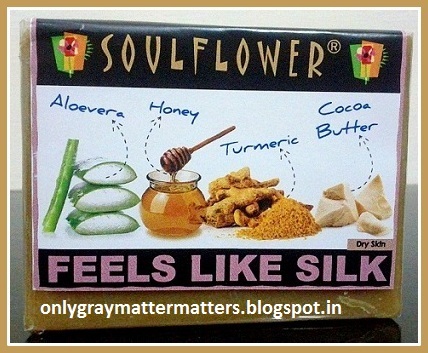 Recently, I got to know about their 15% OFF sitewide discount using Coupon Code SOULFLOWER15 (Valid till today May 31, 2013). So I thought of checking out some stuff. I was eyeing the Happy Feet soap for quite long and also wanted to buy some essential oils. However I ended up buying some soaps, a body lotion and their newly launched aromatherapy roll-ons, which are also currently on a 50% OFF offer (Coupon Code fkm50). I placed two orders to utilize the two different discount offers and requested them to club it all in one packet, which they gladly did. Soulflower.biz website is designed quite artistically but I somehow felt it was a little difficult to browse initially. I could not locate the soaps and so I used their search box, which presented me with a huge variety of Soulflower soaps. Since the soaps are quite costly, I carefully chose 3 that I really needed for my currently irritated facial skin and my over dry heels. I faced some difficulty while applying the coupon as there was no 'Apply' or 'Go' button next to the Coupon box, but it worked after a few tries. I found that the coupon gets automatically applied when you enter the code and then press checkout. Just make sure you recheck the amount when making the final payment. It may still show you the total bill amount but at the payment gateway, you will be asked to pay only the discounted price. But always be careful and double-check to avoid any problems. 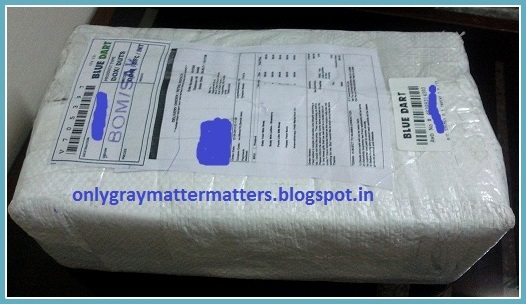 The site claims SUPERFAST delivery and they actually delivered my order superfast. I placed the orders on Saturday afternoon and Saturday evening simultaneously. I got the tracking details the same day and Tuesday morning my packet was delivered to me despite the fact that I live in a remote area. So a big thumbs up there! The packing was super solid and it took me some time to open it. On opening the packet, I found two additional products, which I didn't order: A Jasmine romance essential oil and a Jasmine Bath Salt. I emailed them the next morning and they called back saying those are gifts for me :) That was a pleasant surprise. All SOULFLOWER products are made in Thailand, which I didn't know earlier. 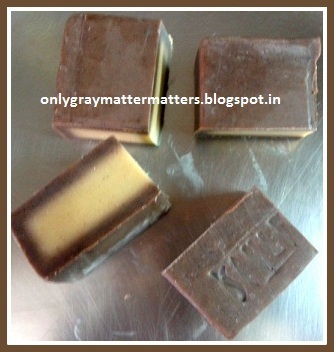 I have started using one of the facial soap bars, the body lotion and the aromatherapy roll-ons. So far, I need to use the soaps and body lotion longer to understand the results. The roll-ons are effective and quite a steal at this price. I liked the concept. 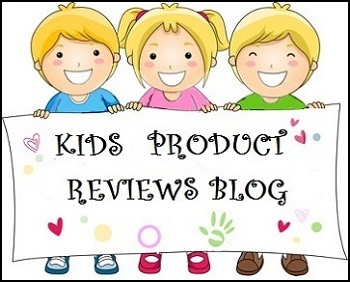 I will review the products once I have used them thoroughly and am sure if they are actually worth all the hype. But I do want to purchase some essential oils from them in the future. The customer service is quite responsive and very polite. It was a pleasure to deal with them. 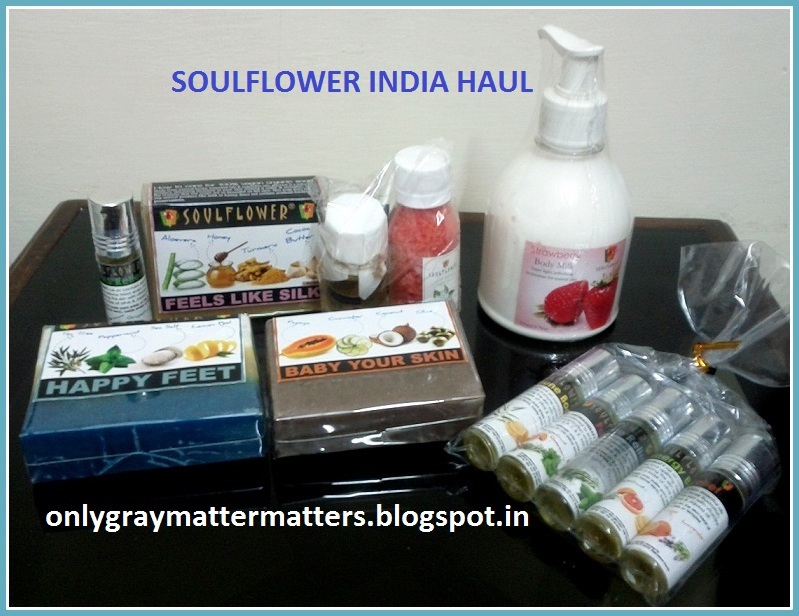 Soulflower products are also available at medplusbeauty.com and flipkart.com. 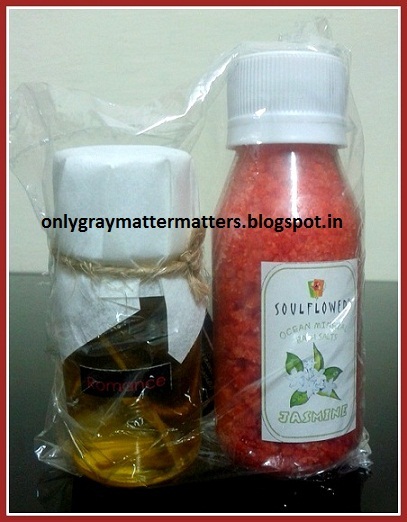 Soulflower.biz offers free shipping over Rs 450 (when I wrote this post, it was Rs 350). You can 'Like' the Soulflower Facebook Page to get informed about future offers. They also have Live Chat available during the day (button at the end of the soulflower.biz page). So you can chat with a Soulflower representative to get detailed expert advise based on your skin type, skin problems, hair problems and personal care needs, before making a purchase. This is one of the most amazing things about this business. Thanks Radha :) Currently using a few of them and will review soon once I am sure of the resutls. Fab haul Gaganpreet! I have their Rose soap which i have not used yet but it smells gorgeous. I am loving those roll ons. N yes i agree their cust service is so polite! Thanks Megha. I haven't bought any bathing soap yet. Would love to know your experience with the Rose soap. The roll ons are a must have, they are just great. Wow..what a lovely haul. I personally love this brand and i always end up recommending it to people who have sensitive skin!! Thanks Jasmine, the roll ons are a new launch and a very nice concept. I loved them and they are currently on an introductory offer for a limited period. 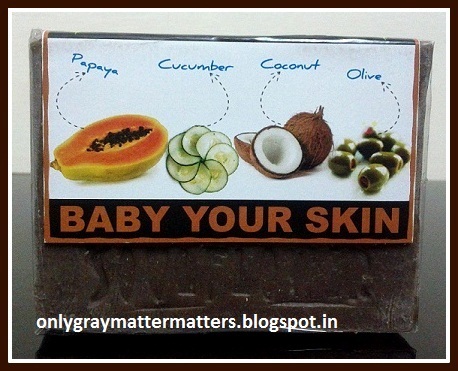 I am using the Baby My Skin soap from last 3 days and a very little goes a long way. Need to use longer to see the exact results. I am sure it must be working great on your oily skin coz it's a little dry on my dry to combo skin. I think i am going to order the roll on set for myself then :)) And yes, it works best on oily skin since it controls the extra oil on my skin. Thanks Jasmine for the feedback on the soap. 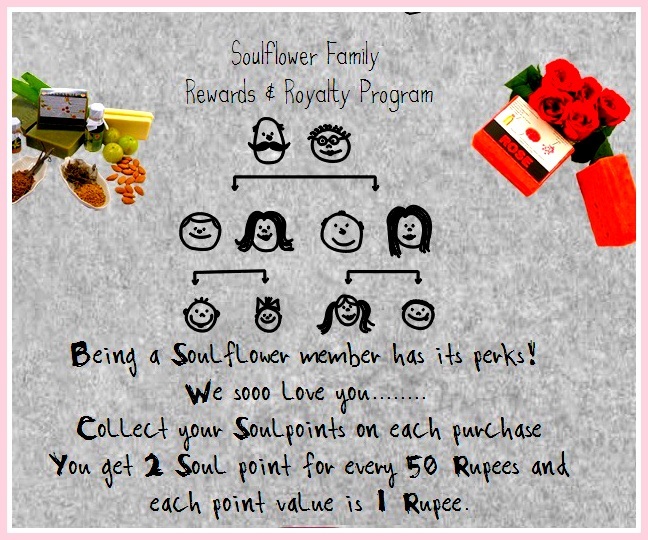 I spoke with Soulflower team and they also explained to me in detail. There are some individual roll-ons also but they are not on discount. That's an exciting collection of roll-ons you got there. Looking forward to your review on the soaps and lotion. Will definitely check out the website once I am back in India and can order the stuff to my home. Thanks Supriya :) I have tried the headache relief and the energy boost roll ons so far and they both work. I specifically bought the PMS relief one outside the offer, hope it is as effective as the others. You are in Mumbai so delivery to your place may have been even faster. Fabulous haul Gagan. :) I want to try their soaps too. I am waiting for the reviews, especially the roll ons and soaps!! Thanks Niesha. I bought soaps only for face as there was an allergy on my face from almost 3 months now. I would wale up with a clear face and by evening I had red bumps all over my cheeks. Thankfully the soap has helped. Will review soon. Have used two roll ons and they both work! Thanks for the offer dear but I don't believe in false following just to increase the number of followers. No offence, but that's a principle I follow. If you genuinely like my content, you are welcome to follow my blog. I will check yours when possible and will follow if I truly like it. Thanks for your interest. I have the pics ready for the reviews but have a burn wound on my right hand right now. So am avoiding excessive typing. Please check back in a couple of weeks. The roll ons are great, have used 3 so far and all 3 were 10 on 10 for the purpose I used them, though overuse broke out my skin on the oily t-zone. hey gagan.. sending you wishes to get well soon! I just wish to know which will be good brand for essential oils..While going through Jabog, i got to know about some other brands (aroma treasures, khadi)..Would be very grateful on your part if you can advise how are these brands & which one will be better? & is there any way by which we can come to know about discount coupons for various sites? 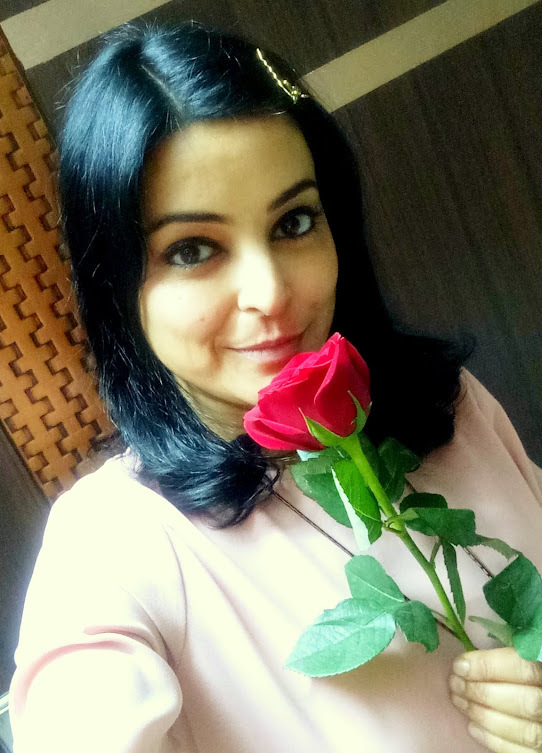 Dear Shafali, I have checked many brands of essential oils but they all contain Jojoba oil or some other oil as a base and are not 100% essential oils. For example aroma magic, azafran etc. Such oil go rancid after a year whereas my soulflower essential oils are still very good after 1+ year. Also, there is a sale going on at soulflower.boz, till tomorrow Aug 18, so you can buy from there at great discounts. To know about discount coupons for various sites, simply go to the site and you will find a box where you need to enter your email ID to subscribe to their promotional offers and discount newsletters. Many times such emails also land up in your spam folder, so keep checking your spam folder from time to time and mark those emails as 'Not Spam' so next time they get delivered to your inbox only. Also, when you create an account on any online store, at that time also you are shown an option to subscribe to promotional newsletters. The discount codes are sent in these newsletters. You can check out my Online Shopping Guides under the Online Shopping tab above for more details on types of discount vouchers etc. Sorry for the late reply as I did not have internet access for around 10 days. Thanks for reviewing the Soulflower oils. I have been using their grapeseed, rosehip and jojoba carrier oils and have found them to be effective to some extent. But having read the description of rosehip oil on the internet that its supposed to be an orangish liquid, I am not sure if the Soulflower is the authentic one, since its a transparent oil. I got to know about Mokshalifestyle oils through your blog but there are hardly any reviews for Moksha Rosehip oil on the internet. The price of Mokshs oils is too low to guarantee genuine product. Since you have already used the Moksha oils, I was wondering if you could share your views on the quality of their oils. It would be truly great help for me. 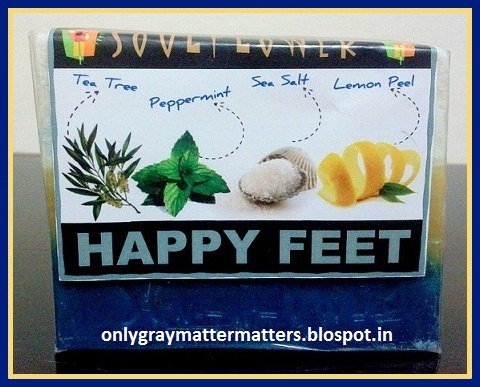 Dear Kavita, this is a 3 years old article about my first purchase with Soulflower. Post that I had a long loyalty to this brand but they disappointed me numerous times. Yes, you are right about Rosehip and other Soulflower carrier oils. They are all decolorized and go rancid very soon. Not sure qhat all processing they go through but i have had many bad experiences with their carrier oils. First one was a rancid Jojoba which again should have been golden yellow but was a pale yellow and badly stinking. Then an apricot oil which smelt of ylang ylang essential oil. I complained and they immediately sent me a new bottle but that too had the same issues. ylang ylang is very heady. So even if someone mistakenly used the same dropper or funnel to pour the two oils, it was not a good experience for me when a nutty smelling oil smelt highly floral. Then a couple years ago, we had them sponsor a giveaway on our blog anniversary and the first prize was an Argan bottle 30 ml worth Rs 800. Argan is supposed to condense and thicken up by the time winters just start and the girl who won that oil in giveaway had a perfectly liquid oil even in the dire Jan temperature... so yet another impure oil incident. Then Rosehip, well yes I didn't buy it for the same reason, wasn't sure of authenticity. Then I got a lot of other emails from various people complaining about the quality. I even left a few comments about their soaps on their blog which were a real concern for me, but they never published those and finally the owner tried to misbehave with me personally by sending me something over Watsapp that amounted to sexual harassment. Their handmade soaps are not cured because now the demand for their products has gone high and their soaps burn the skin. They used to make good products long back when I started purchasing but I have never seen such quick degrade with any other brand. I stopped purcahsing from them directly and then bought a Soulflower roll on bottle from Amazon, that too came with a broken roll on. I mean the very purpose of buying it was defeated and it was snugly packed in thermocol so there was no possibility of it breaking during transit. Now for Moksha, well I might have spent close to 10K on their oils but same issues. At least 4 out of 6 carrier oils I had purchased went rancid within 4 months. Waste of money. I have their Rosehip and it is orangish red in color with yellow undertones but it leaves marks on the clothes and gives a strange tinge to the skin. Moreover I didn't notice ANY benefit from Moksha's rosehip oil. One of our US based clients also purchased it while she was here and she has the same feedback. As for Moksha's Grapeseed, well one test for Grapeseed oil is that it appears very thick but when you apply it at the back of your hand, it should get absorbed instantly. Plus it should be greenish yellow in color. Moksha's grapeseed fails in both the aspects. All their oils have been diluted with cheaper oils like sunflower or safflower which go rancid very soon. Coming to Moksha's essential oil, it took me a long time to figure out why my hair color was fading super fast when it had not happened so in the past 1.5 -2 years and once I took those out of my hair routine, my natural hair color stopped fading. Moksha's lavender smellls sweet but once it evaporates, it leaves an awful smell. I had put a few drops in my steam iron and the iron smells awful. I finished off their lavender and tea tree by putting them in the last round of washing machine. I bought their butters and they were adulterated with parafin. Their fragrance oils give black poisonous soot. Those also went waste. 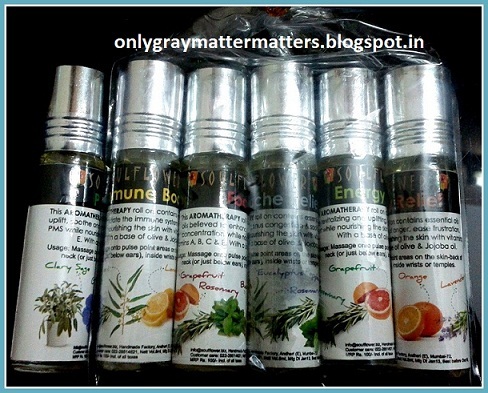 Hence after so many bad incidents, we decided to find our own supplier and launched our own oils this Feb. So far we have kept this exclusive to our henna indigo purchasing clients but now we see there are so many people struggling to find good quality. So we should be setting up a 'Shop' tab on our site. In carrier oils, we have Jojoba, Argan, Grapeseed, Sesame, Avocado available and in essential oils we have Lavender, Rosemary and Tea Tree. For now, we have just kept the best and the most versatile oils which can be used for the most common scalp types and hair/skin issues. 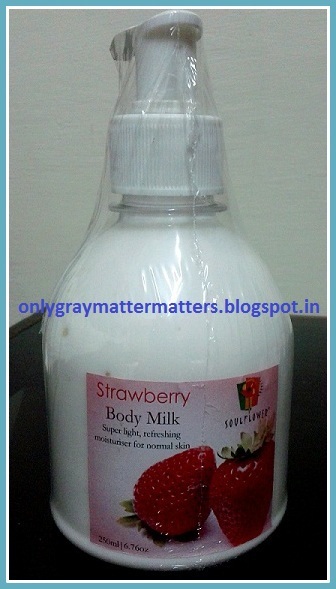 If you want very high quality at par with the market prices, you can email us for purchasing. Email IDs are given under the 'Contact' tab above.